Grab the calendar and write down this important date! There is soooo much good stuff at Art Market. 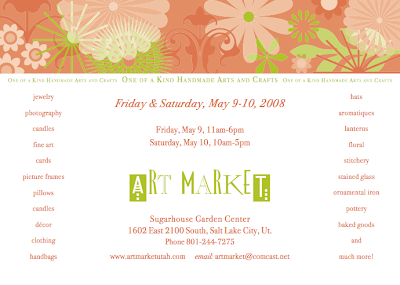 Friday, May 9 from 11 to 6 p.m.
Saturay, May 10 from 10 to 5 p.m.